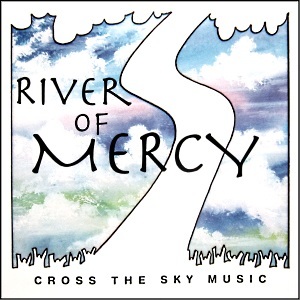 River of Mercy contains 21 original songs of youth worship and praise accompanied by a liturgical worship setting designed for teens. You’ll find a unique collection of simple praise choruses and hymns for youthful worship that have come out of our background in Christian outdoor ministry. The songs focus on the mercy and grace of God, and our call to be loving and gracious in our daily lives. We think you love the music and find many of the songs useful in your congregational setting. The River of Mercy CD also supports a youth mime drama entitled Shine! It’s a powerful and unique presentation about the life and ministry of Jesus Christ. For more information go to our Mime Drama page to learn more about Shine! and the three mime dramas from Cross the Sky Ministries. A call to worship focusing us on who we belong to and why we gather to worship. A reminder of who we are as a holy family called to be devoted to God and each other. An anthem focused on mercy, justice, and walking humbly with God, based on Micah 6:8. An energetic song of pure celebration and a call to worship God with all your might! This fun new version has something the old classic never had – Jesus Christ! Choose a complete package or a single item from the menu below and select “Add to Cart”. $2 shipping will be added per line item for online orders. We ship via priority mail.